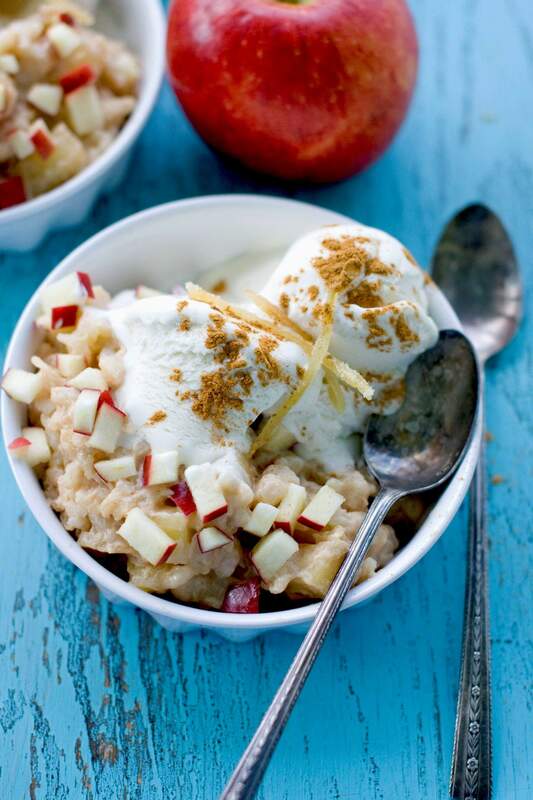 Caramelized Apple Ginger Rice Pudding. There’s something particularly autumnal about puddings. Surely, it has something to do with cravings for all things rich and creamy as the weather cools. So we created this deliciously rich and creamy rice pudding just for fall, a time when it can easily show off the finest fruit of the season – apples. Of course, the spices that work so well with apples also are delicious with another of fall’s finest, pears. Most rice puddings are made by slowly simmering starchy white rice in milk, sometimes on the stove top, sometimes in the oven. But we decided to use a technique more common to risotto. The milk is added more slowly to the rice and cooked into it before more is added. Frequent stirring during this process also helps draw out more of the rice’s starch, creating a thicker, creamier pudding.